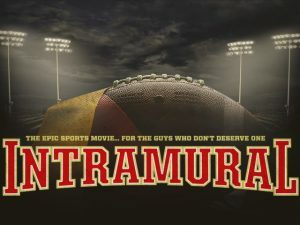 I arrived on the set of Intramural shortly after 11 PM on their last day of shooting. They were wrapping the film on the football field of Manor New Tech High School, which seemed very quiet that night. I was surprised to hear the breeze and my own footsteps as I walked toward the shoot. A few days earlier, there had been hundreds of extras in the stands along with a booming high school marching band. Despite everyone looking exhausted, each person I spoke with on set told me they were sad this was their last night together. 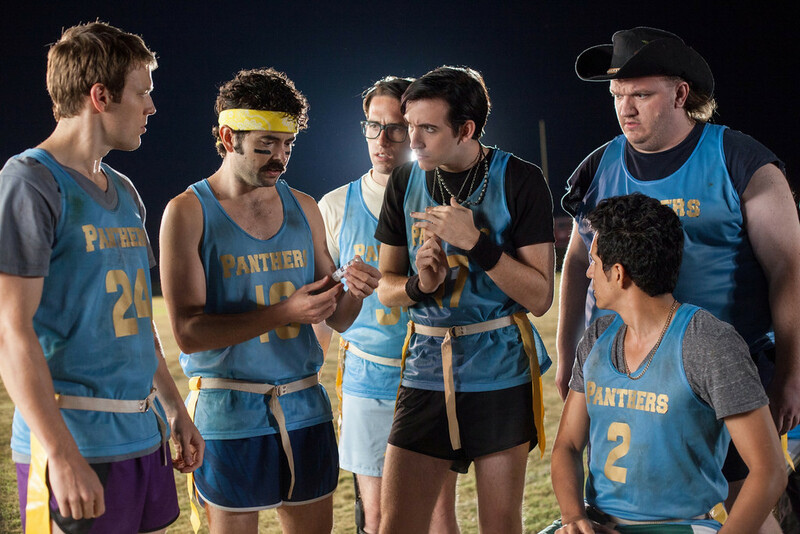 The comedy film centers around fifth-year college senior Caleb Fuller, played by Jake Lacy of The Office, and his quest to get his old intramural football team, the Panthers, back together for one last run. Years earlier, a tragic incident had disbanded the team, and most of its members had left football behind and moved on to completely different lifestyles. Now, with marriage and law school looming, Fuller sees the window quickly closing for his squad and vows to reassemble and defeat their arch-rival. Some other notables from the cast include Kate McKinnon and Jay Pharoah of Saturday Night Live, Nikki Reed of Twilight, AT&T Spokesman Beck Bennett, and D.C. Pierson of Mystery Team. The crew of the film is mostly made up of Austin locals, and the cast boasts a few as well. I was able to speak with Andrew Lee, Producer for Ralph Smyth Entertainment and Austin local, during my visit to the set. He told me a little bit about why they chose Austin and what it has been like on the set. After our conversation, Andrew graciously introduced me to Bradley Jackson, writer of the film and Austinite. Jackson told me about some funny occurrences on set and his favorite places that were highlights during the shoot. As the night went on, it wasn’t difficult to tell that the cast and crew were tight-knit. I couldn’t help but laugh as they gathered in brotherly fashion for a group picture in the stands. They should have been longing for rest, but their smiles showed them begging for more. I walked away with a happy heart and fresh enthusiasm for the upcoming football season. 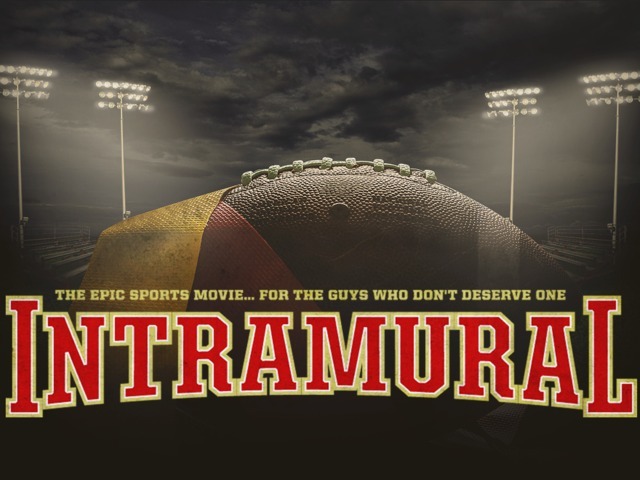 Intramural is set to release in 2014. I, among many others, am looking forward to it. Have you ever been on the set of a film in Austin? Disclosure: I will receive complimentary entry to the 2014 premiere of Intramural. All opinions are my own.